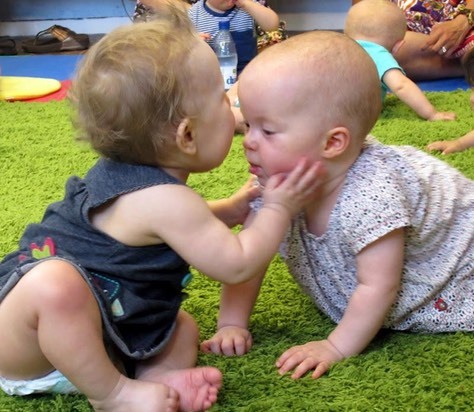 “I highly recommend�Hartbeeps�to all Local Mums.�Hartbeeps is just genius. My 8 month old son always has a blast and loves every minute of the class. The teacher is lovely and enthusiastic and there is no holding back on the�brilliant props the children are given to play with. We look forward to Mondays every week!! Can't recommend highly enough.�"
"I highly recommend�Hartbeeps�to Local Mums. Gentle, soothing and calm! Not what I expected at all when I was new to baby classes. Baby Bells is in all in one, everything you need for a newborn class that's been a lifesaver for me when I was new to the area." At�Hartbeeps�we put your child at the heart of our magical, musical adventures with a soundtrack of original songs, remixed nursery rhymes and lullabies. Come and experience our amazing developmental classes to complement and enhance every stage of your child’s early years. Our lovely, gentle class focusing on bonding and confidence. We use elements of baby yoga, baby massage and calming techniques to delight babies and help them uncurl and release energy. Our bouncy, interactive baby development class that focuses on early language acquisition. Every class is a super fun adventure with puppets, props and parachutes. All classes have twin/sibling (in same class) discount of 50%.